The United Arab Emirates are a promising market for Polish enterprises, Polish Investment and Trade Agency (PAIH) chief Tomasz Pisula said at a Polish-Emirati Business Forum in Warsaw. Mr Pisula said he wanted to see trade between the Emirates and Poland rise from the present USD 750 million to USD 1 billion by next year. He added that Poland’s sales to the Emirates mainly included food, furniture and electronics, and observed that trade between both countries should be better balanced to “bring purchases in line with exports”. The PAIH head stated that besides being an oil producer, the UAE were also developing their innovation segment under the National Innovation Strategy introduced in 2014, which provided good openings for Polish exporters. Among the Emirati sectors of possible interest to Polish businesses, Mr Pisula named renewable energy, transport, education, healthcare, water management and the space industry. 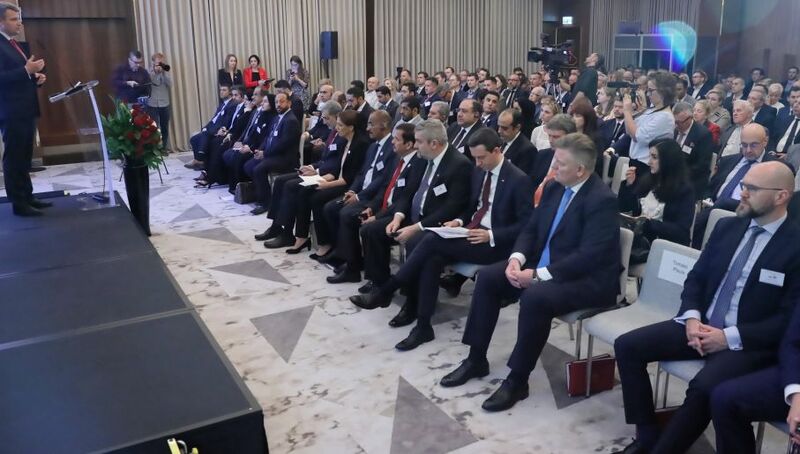 Delegates from about 150 companies from the IT, food, furniture, medical, yacht-building, chemical and mobile-solutions branches, attended the Polish-Emirati Business Forum on Thursday.